None of the post-Soviet constitutions adopted between 1992 and 1996 allowed presidents to serve more than two terms in office. However, by now seven of the twelve post-Soviet countries in Eurasia have (or had) presidents in office who have for as long as they wished. The forerunner of this “life-long presidency” phenomenon was Turkmenistan, one of the most authoritarian and isolated countries in the world. As early as 1999, Saparmurat Niyazov, leader of Turkmenistan’s Communist Party since 1985 and the country’s first president after independence, was proclaimed “president for life.” As if this were not enough, the constitutionally mandated two-term restriction was scrapped. Other Eurasian countries followed the lead, but adopted only one of these strategies. Thus, Kazakhstan’s Nursultan Nazarbayev and Tajikistan’s Emomali Rahmon were personally exempted from re-election restrictions based on their status as “Leader of the Nation.” By contrast, in Belarus and Azerbaijan, the question was resolved systematically by abolishing any re-election restrictions in 2004 and 2009 respectively. Of the seven countries in post-Soviet Eurasia, only two chose different solutions: Uzbekistan’s President Islom Karimov, who died in 2016, had created a “groundhog day” routine by using even the smallest constitutional amendment as a reason to reset the presidential term count. In the well-known case of Russia, the two-term restriction is formally intact but has been circumvented by the president swapping with the prime minister, the latter being the second-highest government official. However, even a life-long presidency does not eliminate the question of regime continuity. As presidents get older and weary of their office, the “succession problem” becomes a hot issue everywhere. Again, the strategies to tackle this problem are different, and not all of them are successful. Thus, in 2003 a smooth succession in power from father to son was effected in Azerbaijan. However, the first presidents of Turkmenistan and Uzbekistan passed away in 2006 and 2016 respectively, without leaving a designated successor. It is remarkable that in both cases the problem was solved after only several days without violent regime breakdown. Like Belarus’ Lukashenko (almost 64) and Azerbaijan’s Aliyev (57), Turkmenistan’s Berdymukhammedov (soon 61) seems determined not to leave this question unresolved, but to pave the way for a family member. Since 2016 the signs have multiplied that his only son, 36-year old Serdar, is the chosen successor. In late 2016, Serdar, then an almost unknown person, ran for office in Dushak electoral district No. 25 during a by-election, the announcement of which made at extremely short notice and did not even include the names of the candidates. By March 2017, Berdymukhammedov junior was heading the parliament’s committee on legal affairs. Then on 25 March 2018, he successfully “defended” his seat in the Mejlis against his rival, a deputy director of the local school, with 91.42 percent of the vote. The point is that the constitution does not allow acting presidents to run for office. Thus, a designated successor would be totally misplaced as the chair of Turkmenistan’s rubber-stamp parliament. Preferably, the post should go to a person who is very, very loyal not only to the incumbent but also to his heir. In short: the best choice is a person who does not feel tempted to break the constitutional rules the way Berdymukhammedov himself did in 2006 when he stepped into the presidency after having acquired the post of acting president following Niyazov’s death. Thus, Serdar’s electoral campaign may have served to increase his public visibility and popularity, but was not meant to secure him the position of parliamentary chair. While the “operation successor” might well be underway already, things are different from how they appear to be, as we will now see after taking a closer look at Serdar’s biography and some recent developments. Young Berdymukhammedov is an expert in foreign affairs. From 2008 to 2011 he studied at the Diplomatic Academy of the Ministry of Foreign Affairs of the Russian Federation while simultaneously working as a consultant to Turkmenistan’s ambassador in Moscow. 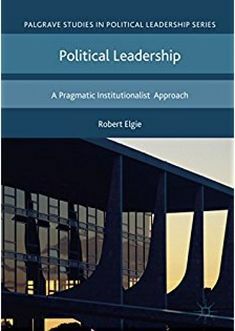 From 2011-2013 he continued his education at the Geneva Centre for Security Policy (GCSP), this time providing advice to his country’s head of the diplomatic mission to the United Nations. In 2013 and from 2016 to 2017 he headed two departments of Turkmenistan’s Ministry of Foreign Affairs. In 2017, Serdar visited Russia several times as an official representative of his country. President Berdymukhammedov was missing from the March 2018 meeting of the five Central Asian presidents in Astana, Kazakhstan—their first in almost ten years. He was on a visit to Kuwait and the United Arab Emirates. This is a remarkable fact on its own. More to our point, in his place Kazakhstan’s President Nazarbayev officially received Serdar. Why wasn’t it Turkmenistan’s official representative, the same Mejlis chairwoman who was about to lose her mandate in the parliament? It is certainly not too far-fetched to interpret this clear move against diplomatic protocol as Serdar’s strategic introduction to Nazarbayev as Berdymukhammedov’s “crown prince” and his symbolic recognition by the most important and eldest of the Central Asian leaders. What followed just two weeks later was the appointment of Serdar Berdymukhammedov as Deputy Foreign Minister. The catch is that this brought him very close to Rashid Meredov, the current Foreign Minister, one of the ten Deputy Vice-Premiers and perhaps the most influential political figure after the President. In fact, as members of the inner power circle of the Niyazov regime, only Berdymukhammedov and Meredov have survived at the highest levels of the power pyramid until today. Moreover, in 2006 it was initially Meredov who was expected to be the most likely successor to the late president. He is also the Methuselah among the more than 100 Turkmenistani Deputy Vice-Presidents who have at some point been in office since the early 1990s. In the current government, Meredov is the only official who has served for more than a decade. All the other Deputy Vice-Premiers were appointed between 2017 and 2018. Therefore, it is highly likely that the 2006-2007 power transfer was based on a power-sharing deal between Berdymukhammedov and his foreign minister. In the same vein, one has every reason to suspect that Meredov’s time is about to expire. Young Berdymukhammedov, his deputy minister, is hard on his heels. A week after his appointment, Serdar headed an official delegation to a meeting of the CIS Council of Foreign Ministers in Minsk. When he replaces the veteran, he will lose his seat in the parliament becoming the most important of all Deputy Vice-Presidents instead – but he will also be exempted from their rivalry over succession, thanks to his status as the President’s son and designated heir. Whether these events will unfold over a short or long time, and whether Meredov will be ousted in shame or retired with honors remains to be seen—as well as if and when the ongoing “operation successor” will be completed. At least, the idea behind the 2016 constitutional amendment has now become more explicit. This entry was posted in Central Asia, Turkmenistan and tagged Succession, Turkmenistan on May 29, 2018 by Petra Stykow. During the last couple of years, presidents of authoritarian regimes in Central Asia and the Caucasus have been busily engaged in constitutional reforms. Praised as major steps toward the “perfection” and “further democratization” of the political system, such reforms are mostly cosmetic. However, most of the time, from behind the mixture of minimally re-edited phrases and copy-pasted international standards of civic and human rights some important details peer out. Typically, they legalize the president’s stay in office beyond term limits or regulate questions of a looming succession in power. This also holds for the 2016 reform of the Constitution of the Republic of Turkmenistan, one of the most closed countries in the world. Turkmenistan’s first constitution was embraced in May 1992, being the first new basic law across the territory of the former Soviet Union. It created a system of government that has been qualified as “presidential” in the literature, but was of a very special kind. It perfectly matched the preferences of President Saparmurat Niyazov who had led the Turkmen Soviet Republic as the First Secretary of the Communist Party since 1985. The head of state and chief executive and the Mejlis as “a legislative organ” were but constituent parts of an “ultimate representative organ of popular government,” the “People’s Assembly” (Halk Maslahaty). In addition to the president and the cabinet ministers, the members of the assembly and the top office holders of the court system, this Assembly included representatives of local assemblies and heads of administrative units, and—after 2003—also the leadership of political and social organizations, eventually reaching the impressive number of 2507 persons. It was the Assembly that “convinced” the Turkmenbashi (“Leader of all Turkmens”) in 1999 to accept the presidency for the rest of his life, approved his proposals about laws, such as seven-generations-background checks for aspirants of the public service or the renaming of all days of the week and months of the year, lauded the president’s achievements, awarded him medals, etc. Niyazov suddenly passed away in 2006. A few days later, the People’s Assembly stripped the parliamentary speaker—who was to replace the president according to the constitution—of his immunity (making his arrest possible) and abolished the ban on an acting president to run for the presidency. This cleared the way for Health Minister Gurbanguly Berdymukhammedov. In 2008, he launched a new constitution, abolishing the People’s Assembly and consolidating the presidency as the lynchpin of the political system. While the president has extensive nonlegislative and legislative powers, making him one of the strongest presidents worldwide, the Mejlis, in turn, is one of the weakest assemblies in the world, barely fulfilling the role of a rubber stamp to the president’s will. A peculiar feature of all editions of the Constitution consists of the lack of an impeachment procedure. Instead, “in case of violation of the Constitution and laws,” the Mejlis may express “no-confidence” in the president by a vote of “at least three-fourth” of the 125 deputies. In this case, a national referendum ultimately decides on whether the president has to quit. Most changes result from a minor editing of the text. In addition, there are some subtle, rather symbolic amendments. For example, the principle of neutrality in foreign affairs, which is the cornerstone of the country’s foreign policy since 1992, is now enshrined in a separate article (art. 2), after having been pooled with the principles of democracy, legalism and secularism (art. 1) in the previous version. Other amendments are influenced by consultations with the UN, the OSCE, the German aid society GIZ, or have been suggested during the public debate on the Draft Constitution, so at least officials have claimed. Thus, a number of human rights provisions have been adopted. The president became the guarantor of “rights and freedoms of people and citizens” and was granted the right to nominate a candidate for the soon-to-be-established post of a Commissioner for Human Rights. The ODIHR/OSCE Comments on the 2016 Draft Amendment consists of a long list of recommendations for the adjustment of provisions that do not meet international standards. Sometimes, the final document seems to respond, but this does not necessarily solve the issue in question. A telling example is a clause that can be found in the 1992 and 2008 constitutions as well as in the 2016 Draft. In full agreement with the traditional Soviet understanding, it is stated that “the exercise of rights and freedoms shall be inseparable from the performance by a person and a citizen of their responsibilities toward the society and the state.” In the final version of the 2016 Amendment, this sentence has been eliminated. However, what remains is Article 30 claiming that “the exercise of rights and freedoms must not violate the rights and freedoms of others, as well as the requirements of morality, law, public order, or cause damage to national security.” This preserves wide scope for interpretation. Other OSCE suggestions about issues such as institutional mechanisms ensuring separation of powers or counter-balancing “the quite extensive presidential powers” have been ignored by the regime—which is no wonder, if we assume that even dictators tend to use constitutions as “operating manuals” for the daily functioning of the regime. An example is the regulation of political pluralism. The 2016 revision of the Constitution introduces an explicit commitment to “political diversity and party-based pluralism,” obliging the state to ensure an “enabling environment for the development of the civil society.” This is mostly “cheap talk,” but it also fits Berdymukhammedov’s engagement in controlled party- and NGO-building, a strategy he shares with much of his colleagues in Eurasia. However, the Constitution restricts the right to form political parties, banning not only violent organizations but also parties “encroaching on the health and morality of the people” and “parties with ethnic or religious attributes.” This clause has neither been welcomed by the OSCE in 2008 nor in 2016 but remains unchanged since 1992. The huge cosmetic part of the 2016 Reform almost conceals the single most important change. It consists of a small omission concerning presidential tenure in office. While the Turkmenbashi had scrapped the typical post-Soviet re-election restriction—“nobody shall be elected for more than two consecutive terms”—as early as 1999, Berdymukhammedov has now removed the last hurdle to lifetime presidency. Aged 60, he foresightedly lengthened the presidential term from five to seven years and removed the age-70 cap for candidates. The 2016 reform also tinkers with provisions regulating the question of succession in power. 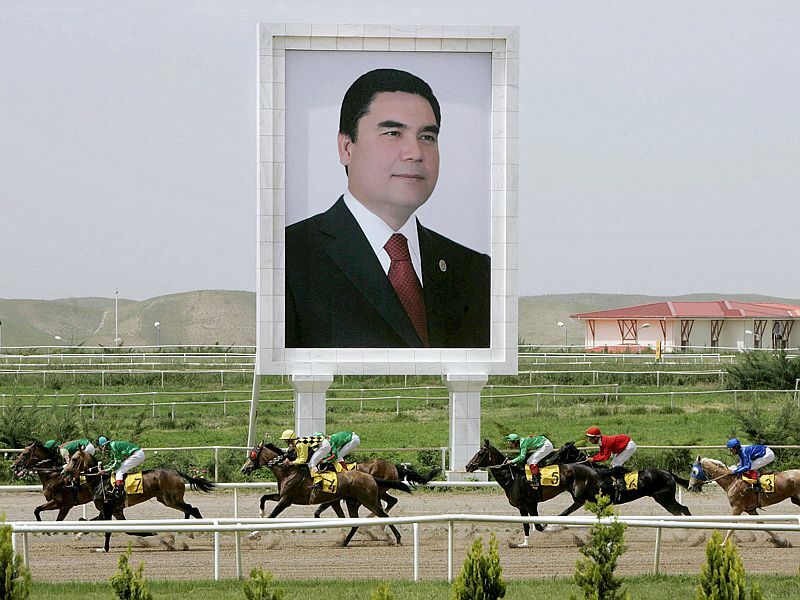 As a measure of precaution against the premature removal by a rival, all versions of the Turkmenistani Constitution prohibit an interim president from running for office. Since 2008, this interim president had to be chosen by the Security Council from the no less than ten deputy chairmen of the cabinet. Now, it is—as it was from 1992 to 2007—the speaker of the Mejlis who temporarily stands in for an ill or dead incumbent. Thus, it seems as if a deputy chairman, even if he competes with nine colleagues, is considered to be more dangerous for a sitting president than the speaker of a toothless assembly. After all, a deputy chairman is responsible for a certain policy, such as Economy and Finance, or Oil and Gas. This grants him access to important resources on which to build power against the incumbent. Against this background, the newest proposal of the President is worth attention. In his inauguration address on 17 February 2017, Berdymukhammedov who had won his third election against eight government-nominated “competitors” by 97.7 percent of the votes announced a new reform. The Council of Elders, which is not mentioned in the Constitution and consists of 600 people who are not elected but selected, is planned to be granted a status above that of parliament. It shall be entitled to approve the decisions of the assembly and the cabinet before they enter into force. This idea revokes the “People’s Assembly” in the 1992 Constitution. Its realization would deprive the Mejlis of their rubber stamp and further downsize the position of the assembly’s speaker. This entry was posted in Central Asia, Turkmenistan and tagged constitutional amendments, Turkmenistan on May 22, 2017 by Robert Elgie. The election of the deputies of the National Assembly of Turkmenistan took place on Sunday 15th December. More than 90% of the Turkmen registered voters turned out to cast their votes in the first-ever multi-party election in the history of this post-Soviet country. The 125 members of the Parliament are elected for a 5-year term with majoritarian system in 125 single-mandate constituencies, each returning one deputy. In total, 283 candidates were competing for election. Candidates were regrouped in the Democratic Party, which has dominated the political scene of Turkmenistan since national independence in 1991, and in the Party of Industrialists and Entrepreneurs. Beyond these two main parties, “independent” candidates were also running for the Organization of Trade Unions, the Women’s Union and the Youth Organization of Turkmenistan. As reported by the national Central Electoral Commission, the pro-presidential Democratic Party won 47 of 125 seats, the Party of Industrialists and Entrepreneurs won 14, and independent candidates won 64. Human rights and advocacy groups highlighted that all parties running in the election are loyal to the incumbent president Gurbanguly Berdymukhamedov, thus hardly represented a genuine political choice for voters. Turkmenistan is a presidential republic, with executive powers exerted by the government, led by the president. The current government is led by the Democratic Party of Turkmenistan, which until today was the only party sitting in the Parliament along with independent representatives nominated by public associations. However, the Turkmen Parliament passed a new law on political parties in January 2012, introducing a multi-party system which attracted some international credibility and praise. Subsequently the Party of Industrialists and Entrepreneurs, which Amnesty International described as a government’s ally rather than as a real contender to power, was established. Nevertheless, the new law is quite restrictive as it limits party membership to citizens permanently residing in Turkmenistan, requires that parties should have at least one thousand members, and prohibits parties to be formed on ethnic or religious grounds. Moreover, political parties are obliged to permit representatives of the Ministry of Justice to attend or take part in their activities, such as for example the party’s internal process of selection of candidates for elections. Despite formally having a multi-party system, Turkmenistan’s credibility is questioned when it comes to its capability of engendering a genuine electoral and political competition. This is so not only because no political party seems to be willing to challenge Berdymukhamedov’s hegemony, but also because of the state monopoly over the media sector, where no private or independent media can be found, and the restricted access to civil liberties in the political sphere, which human rights groups describe as characterised by an “all-permeating fear”. Moreover, access to the Internet is very limited and state television remains the main source of information for the population. This entry was posted in Central Asia, Turkmenistan and tagged election, Turkmenistan on December 20, 2013 by Paola Rivetti.